Now this is how you celebrate winning a football match. Here we have the Colombian team celebrating their three nil win over Greece in the World Cup 2014 group stages. I’ve been racking my brains for about 17 seconds to try and think of a joke about frogs and football but can’t think of any. 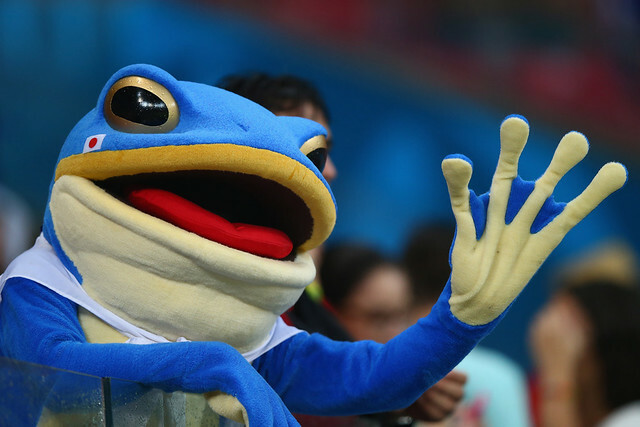 Why you would go to a football match dressed as a frog is beyond me though. Any thoughts? Steven Gerrard just seems to fall over here right near the ref. Was it the pitch, the referee or an Italian mole that had infiltrated the pitch in an attempt to help Italy to a vital yet expected win?